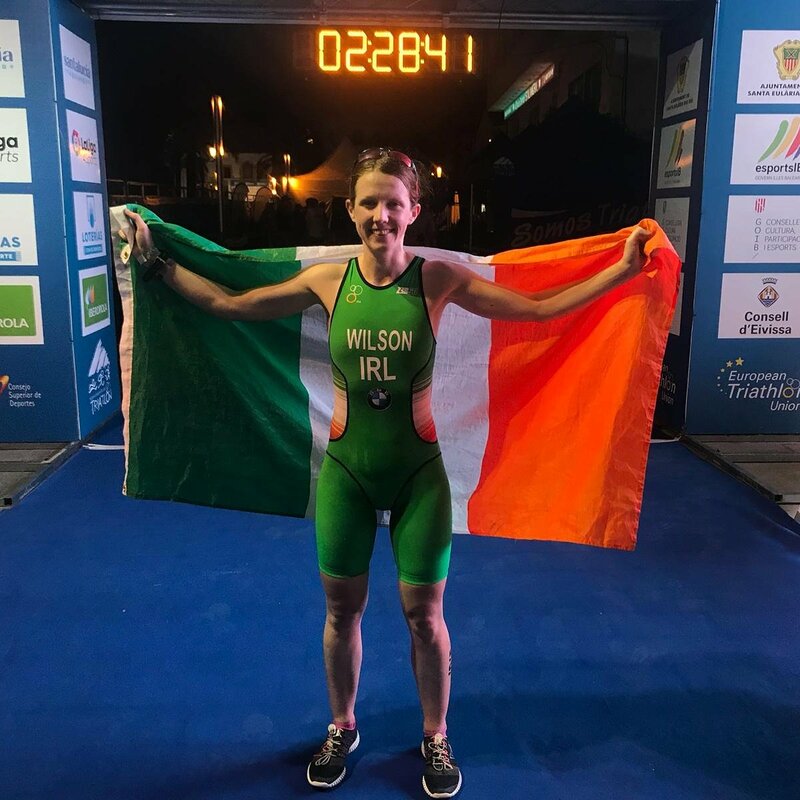 On Saturday, Oct 20 Ciara Wilson of DMP AC and Performance Science Ireland competed as a member of the Ireland Elite team at the European Duathlon Championships in Santa Eulalia, Ibiza. The event, which took place in the centre of Passeig de S’Alamera, consisted of a 10k run, a 40k bike and a 5k run. In the 10k Ciara had two Spanish athletes for company over the first 5000m. The Spaniards then pushed on as Ciara wanted to stick to her more conservative pre-planned race pace. Away then on the bike around the first of eight 4.6km loops, Ciara had to work just to stay in contention. She biked strongly to stay on the same lap as the leader throughout, this being a prerequisite to being permitted to complete the race. On the final 5km run Ciara gave it everything, crossing the line in 9th place. This was a fine result given she faced such a competitive field, one consisting of multiple European and World champions. 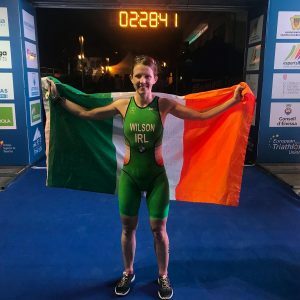 The Europeans capped off a fantastic year for the Wexford girl, one in which she competed with distinction at the World Duathlon Championships in Denmark, won the Triathlon Ireland National Duathlon Series and claimed silver at the Triathlon Ireland National Duathlon Championships. She also won the University Duathlon title and placed 2nd in the University Triathlon Championships. Ciara heaped praise on her coach at DMP, former international and current Wexford Senior Competition Secretary, John Joe Doyle. She credits John Joe’s with helping her to build strength over the years. Tagged Ciara Wilson, DMP Wexford, European Duathlon Championships, European Duathlon Success for Ciara, Performance Science Ireland. Bookmark the permalink.